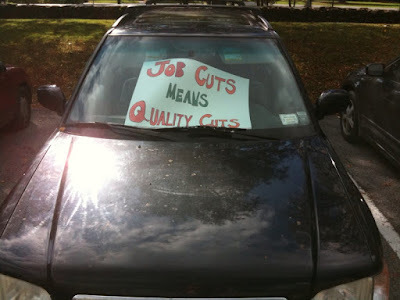 A reader spotted this sign in a car parked on Raymond Ave by Skinner. In similar news, a "social justice" rally is planned for today (Wednesday) in Main Circle at 3pm. Their grammar certainly isn't of a very high quality.